Fantasy Black Book: The LABR Draft Recap, Billy Hamilton and "The End of Days"
The LABR Draft Recap, Billy Hamilton and "The End of Days"
I know I am in the minority. 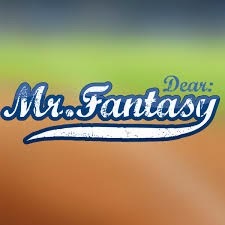 I know the old standard in fantasy baseball is the Roto Format. However, baseball has evolved more than any American sport over the years and there is no reason why the fantasy game can't continue to do the same. Why should we "settle" because it's "accepted as the standard"? The standard of fantasy sports should always be set by the sport itself. In a perfect world the fantasy version of our favorite sports should mirror the REAL life versions as closely as possible. It's why I prefer football leagues that favor quarterbacks in scoring (or 2 QB leagues) and it's why I find points league baseball that weights pitching more heavily to be infinitely more challenging and rewarding as it's more closely linked to the game of baseball in it's current form today. That being said, the accepted format proceeded last night in the form of the expert LABR Draft. As I preach in the Fantasy Baseball Black Book 2015, being successful in a draft is about understanding the market, having a plan and continuously finding value with every selection you make. Many of the participants in this draft are considered the best minds in fantasy and with good reason. There is much we can all learn from this outcome. From my perspective, Mike Gianella & Brett Sayre from BP did a marvelous job of "Drowning the Pool" of shortstops by selecting Tulowitzki and Desmond with their back to back picks 15th and 16th overall. Most impressive was the fact they didn't do so to spite their own team. In fact, they built a strong foundation early on and absolutely shined in the final rounds. It's my belief that both the BP boys and Steve Gardner of USA Today did the best job of finding value and maintaining a high RPV (Relative Position Value) throughout the draft. 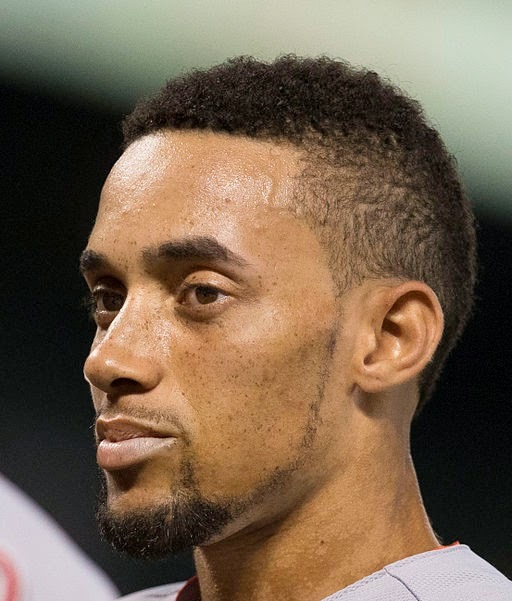 The buzz of the draft was the well known and well respected projection guru Mike Podhorzer's selection of Billy Hamilton in the 2nd Round with the 20th overall pick. While this pick set many aghast last night, it's an intellectually sound and easily explainable move. With power being down overall, Podhorzer saw an opportunity to move to the other end of the 5 hitting categories and develop a strength at stolen bases. Sure, there were equally (if not better) one dimensional speedsters available much later such as Ben Revere in the 7th round. However, it was a prerogative to make an early statement of how he would build his team. As the draft unfolded, he continued to build his offense from a H, R, SB perspective quite effectively with Ian Kinsler, Dustin Pedroia, Alcides Escobar etc. My problem is not that this happened. It's our duty as fantasy owners to exploit our formats at all costs and find value that gives us a competitive edge. My issue is that this format rewards and values players like Billy Hamilton who are below average major league players. This is a fact, not an opinion. If you disagree with me consider Billy Hamilton's offensive WAR is -7.9! This is a talent to be drafted in the second round of a fantasy draft? A -7.9?! I firmly and unequivocally say no! This is why roto formats (especially H2H roto) should die a slow death over the next decade. Speed is an element of baseball. It is not and equal element to home runs. The very definition of the game is to score RUNS. A home run does this, a stolen base allows for the greater opportunity to do this. Yet, in 5X5 roto they are more often than not held to an identical standard. Why? Well, because its always been that way. That frankly is not a good enough reason for me. In points leagues, you can weight statistics to reflect the REAL game more efficiently and it's high time the trend of this format become the majority over the next decade for the good of the fantasy game. The accepted should not be something we accept.